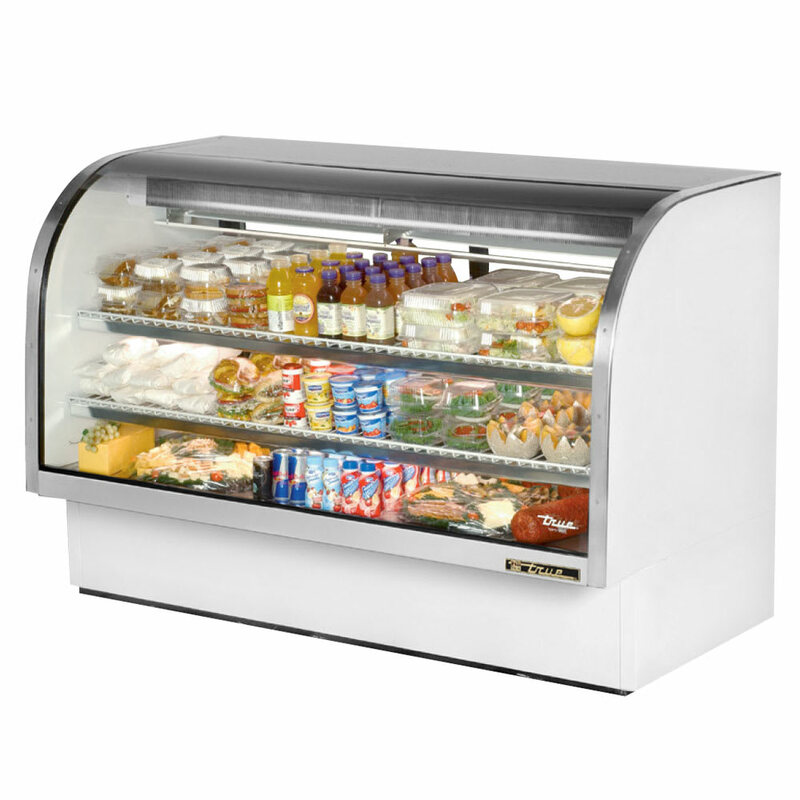 The True TCGG-72-LD full-service deli case has a laminated vinyl exterior that is resistant to scratches and dents and a stainless steel top and trim for durability. To supply corrosion resistance, the interior sides and top are constructed of white aluminum, and to facilitate cleaning, the sturdy stainless steel floor has coved corners that do not gather debris. Foamed-in-place polyurethane insulates the unit to prevent the loss of cold air, and the double-pane glass adds more insulation and provides product visibility. The self-closing rear doors have thermal glass inserts that slide on stainless steel V-channels. To maximize storage space, the True TCGG-72-LD deli case is equipped with two cantilevered wire shelves that are adjustable and coated in PVC. Highlighting products and adding visibility, one cabinet-mounted and two shelf-mounted LED lights are installed in the interior. This unit maintains temperatures between 38 and 40 degrees Fahrenheit, and its high-humidity, gravity coil refrigeration system is perfect for chilling deli meats and cheese. The condensing unit is located behind a panel in the back and slides out for maintenance. Looking for more information on these units? 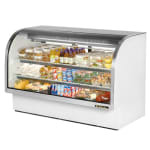 Check out this deli and display case article.